YOUNG Plymouth rugby star Lagi Tuima is in line to earn her first England senior women’s cap after being named in the Red Roses squad for their three-Test series against Canada. The former Devonport Services under-18 player, who now plays for Bristol in Premier League, is one of seven uncapped players named Simon Middleton’s 28-player squad. Eighteen of the party, including former Marjon student Rochelle Clark, featured in this summer’s World Cup in Ireland. England’s opening game against Canada will be at Saracens’ Allianz Park on November 17. The second Test will be at Harlequins’ Twickenham Stoop on November 21 before the series concludes at Twickenham on November 25. Utility back Tuima has had a rapid rise into the England squad. 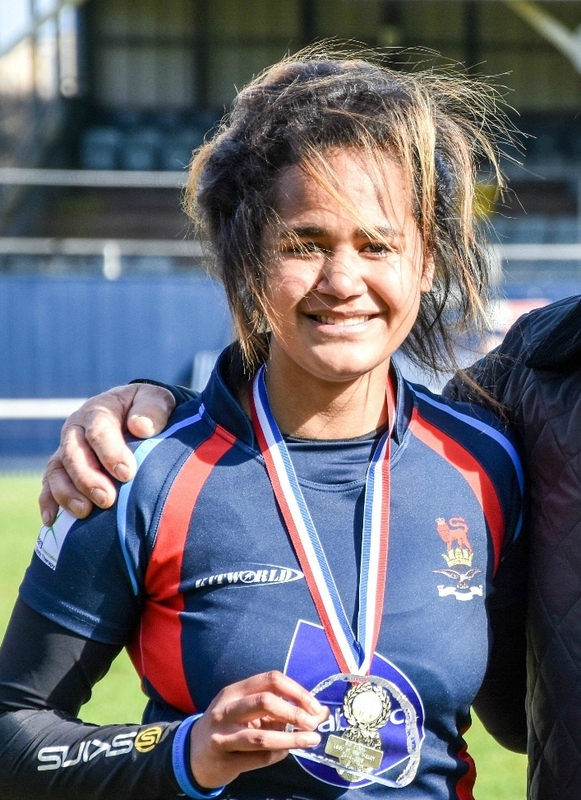 In April 2016 she was still playing under-18 rugby with Devonport Services. She then had one season playing senior rugby with Plymouth Albion and earned England under-20 honours before moving to Bristol this summer for the start of the new Premier XV League. England coach Middleton said: “We have new additions to the squad, a good combination of experience but also some new and exciting talent. “We have full confidence that they can come up to standard quickly and showcase their talents, with our more experienced players leading from the front and setting the example that the youngsters need to follow. Meanwhile former Plymouth Albion dual registered players Sam Simmonds, Henry Slade and Ellis Genge are named in the England men’s training squad for their match with Argentina on November 11.